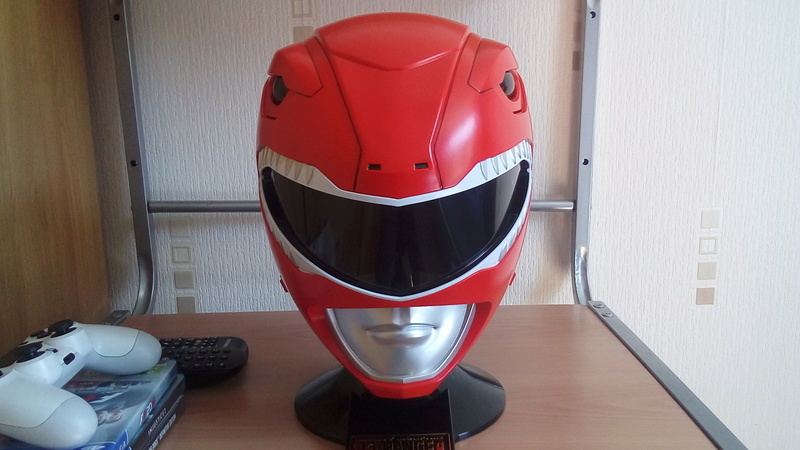 So I have the opportunity to get the Legacy red ranger helmet as a gift and I'm even though I don't have to pay for it, I'm still not sure it's worth it. I looked at a few videos and feel conflicted about it. I think the fit gets a bit better with each video, but it still looks really big. It costs £100 and looks like the same quality as the Darth Vader voice changer helmet I had in 2005 that didn't even cost half of that. I don't know if it's worth the price or that I could accept it without feeling guilty because it's £100 for a plastic shell. 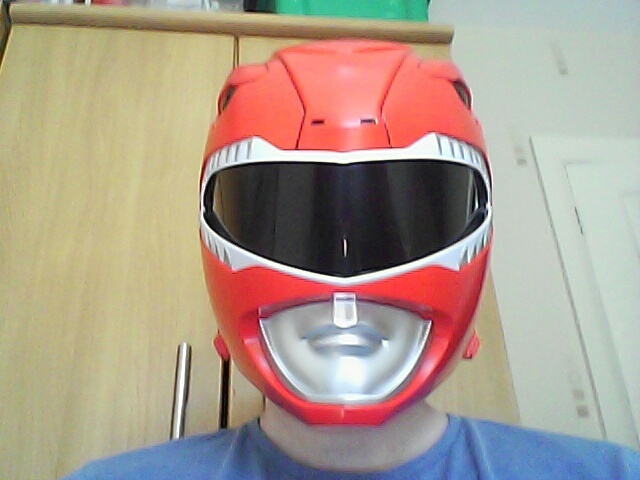 One the other hand, I've always wanted a full Ranger helmet and it would still make a great display piece even if I'd look stupid wearing it. Should I do it this once and enjoy it or risk missing out like how other Legacy items are now either unavailable or stupidly expensive? The only person who can answer for you is you. I'm getting the helmet, already on its way. 500th post too. The only photo of myself I'll ever post online. If you like Power Rangers then you will love this! @Genkimonk wrote: If you like Power Rangers then you will love this! He could have cut the line about Jason's friend wanking off a bull if he thought the higher rating was going to hurt the film. I don't know where he got that idea from considering PG-13 films are the most successful and PG is effectively dead in America. I suspect early trailers looking like a Chronicle rip-off and terrible zord and (to a lesser extent) suit designs are what put fans off. Talks of a sequel between Lionsgate and Saban are happening, which I guess is a good sign. The director has also said he wants Zedd to be the villain of Power Rangers 2. Have you heard about Power Rangers Hyperforce? I'm not sure about the details but it looks like some kind of roleplay group that may or may not be canon. Paul Schrier (Bulk) is playing one of the new rangers. The only other person I recognise is Andre "the black nerd". 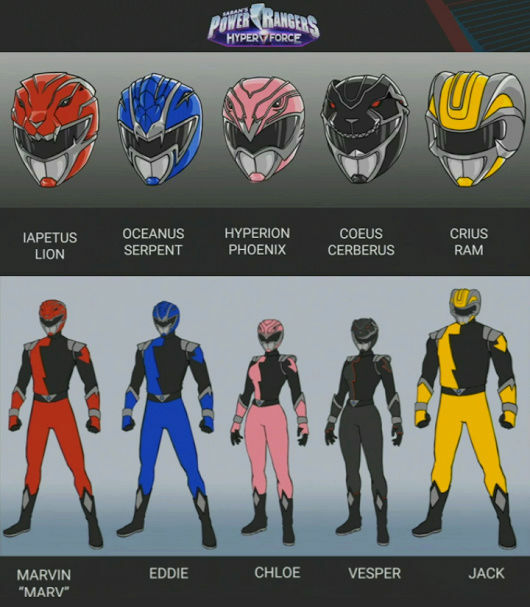 Not going to lie, I really like those helmet designs. Yeah, the first episode (which lasted three hours) was streamed on Twitch yesterday, and guest-starred Erin Cahill, aka Jen from Time Force. I watched the first 20 minutes or so and I couldn't get into it. I think it'd work better as a fully scripted audio series or if it was a cast of close friends. As it is the cast just looked bored or awkward and there must be someone better available to host it, anyone who can bring some energy and excitement or at least able to read out loud without flubbing most of the lines. Maybe it gets better later in the episode when they get to the real Power Ranger action but I'm not sure I could sit through it long enough to find out. Bandai and Saban have ended their partnership, and Hasbro have taken up the master license. Bandai will retain some control of Asian markets however. The makers of the mobile game Power Rangers: Legacy Wars are bringing out a console & pc fighting game in april.